The definition of the Science of Special Needs Pedagogy is not an unambiguous as internationally different emphases on it can be found. 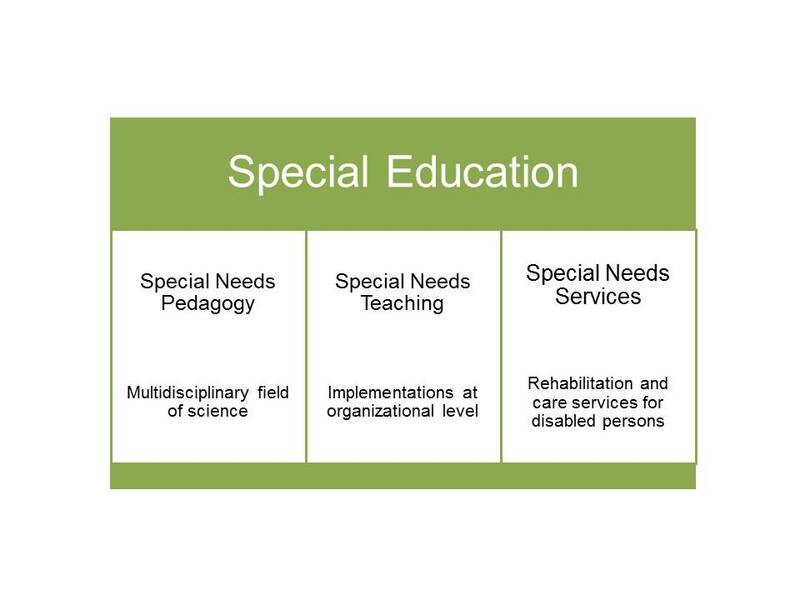 In each country the development of an educational system and associated research interests in these issues have influenced the concept of special needs pedagogy. However, the common understanding currently is that special needs pedagogy is an applied science.The foundations of special needs pedagogy can be found in educational science, psychology, medical science and social sciences. The definitions special needs pedagogy and special needs education are often used synonymously although special needs pedagogy is a field of science that is studied at universities. It can be defined as a field of science that “examines learning, education and training of those individuals and groups whose needs are not met by arrangements designed for the majority of learners (Moberg et al 2009, 12). Schools and educational organizations offer special education to those learners who require support for their learning. Different fields of science approach the same phenomena from different perspectives. For example, the psychological view point examines the phenomena from the individual’s perspective whereas the sociological approach highlights environmental aspects. Familiarize yourself with the help of the web links below how different scientific fields consider issues related to special needs pedagogy. Special education is teaching that is offered to those learners who require special support. Reasons to offer special education can be varied. Special education and other special support for learning and studying is offered in pre-schools, compulsory education, post 16 education (upper secondary education), vocational education , universities and voluntary adult education .